WooCommerce Products XML Feeds lets you create all your shop’s products XML file. 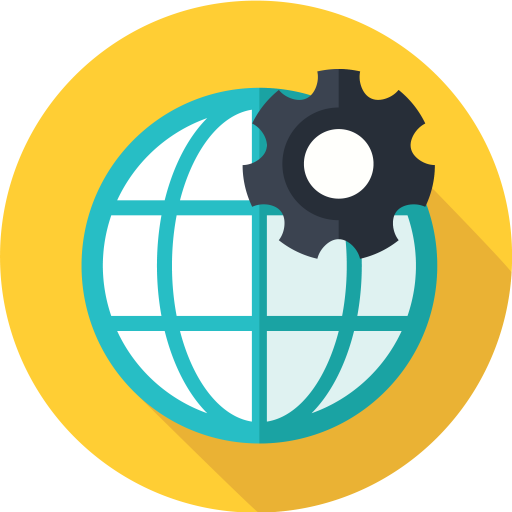 XML is fully customizable, with options to set XML header, item and footer templates. When creating item template, we advise to use Booster’s products shortcodes. You can set result XML file path and name. File can be created manually, or automatically by selected update rate (every minute, hourly, twice daily, daily and weekly). Additionally you can create multiple XML files with different templates, path, name and update rate. I am adding an image link using [wcj_product_image_url]. This only adds one image. What should I do to add other images of my product? I’ve made some changes to the plugin, please download the development version here – http://booster.io/dev/. You will need to uninstall the old plugin version first (don’t worry your saved settings won’t disappear). You should add maximum number of images possible (in image_nr) – if some product won’t have so many images, shortcode will just return empty result. Please let me know if it works as expected or if you have any questions. I did the experiment, but there were some problems. Each line of products has a first picture, does not bring different pictures. Also, in products that only have one image, each split takes the same image. How can i set a google friendly xml? Could you please send me the exact format (i.e. shortcodes) that you are using, so I could check it on my test server (if you wish, you can send it to me privately to tom@booster.io). I’ve tried your code on my server, and I’m getting “Namespace prefix g on title is not defined” errors. To solve this, you need to add <rss version="2.0" xmlns:g="http://base.google.com/ns/1.0"> to the “XML Header” option (in “WooCommerce > Settings > Booster > Products > Products XML Feeds”). Also you need to add </rss> to the “XML Footer”. Would like to create an XML file to have only the last 30 (or whatever period) products listed based on post_modified date. As this is for a Mailchimp campaign I don’t want all 5000 products being sent to them in an email. By being able to list by modified date this will enable me to narrow to the more recent active products for WooCommerce. Wasn’t possible, but I’ve just made the required changes to the plugin. I found your Booster Plus order, so I’ve just sent you newest Plus dev version in another email. You will need to uninstall the old plugin version first (don’t worry your saved settings won’t disappear). 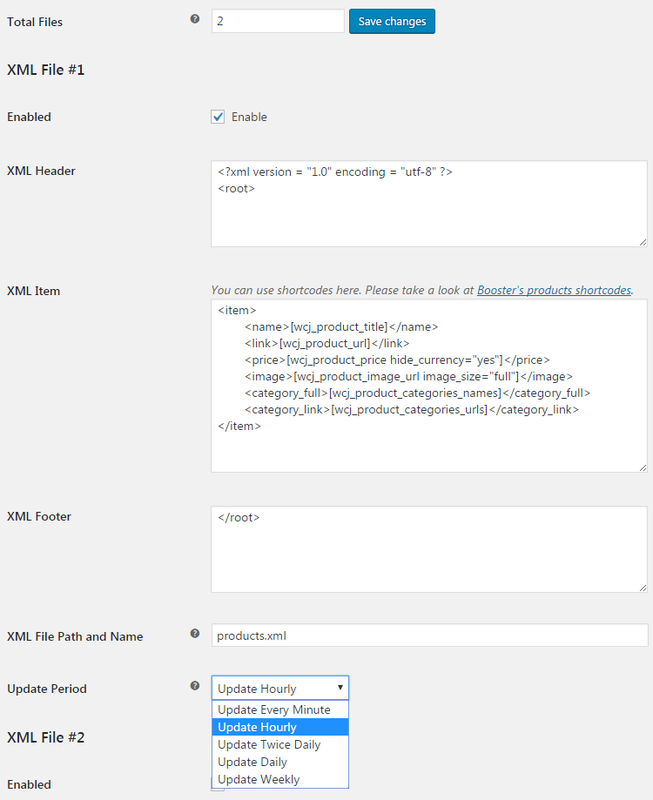 Now in “WooCommerce > Settings > Booster > Products > Products XML Feeds” you will find new “Sort Products by”, “Sorting Order” and “Max Products” options for each XML file. Please let me know if that was what you needed. And if you like Booster, please leave us a rating, would really appreciate that. you have a great plugin! 1. description in another language with wpml? 2. Price in another currency? Is there a way to skip an empty tag to be printed if there is no value. I have following snippet, but i need to skip the whole tag if is empty. Unfortunately this is not possible at the moment but we have added it to our todo list. but in a variable format like the rest options you have so the user can select to filter only products that are in stock or not or both.